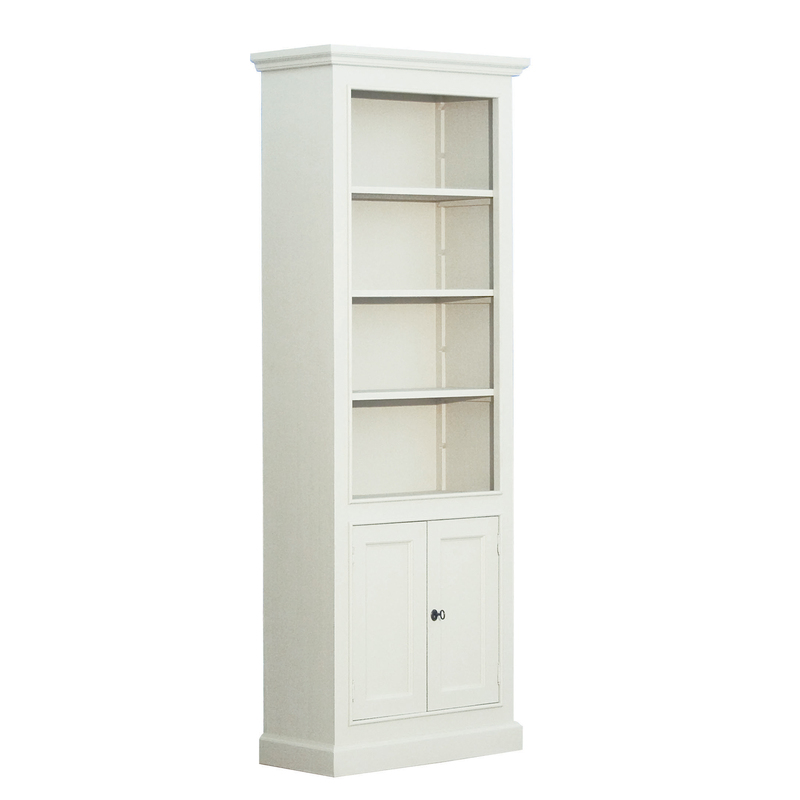 A useful low bookcase with open shelving and four drawers for practical storage. Also features two pull out writing leaves. 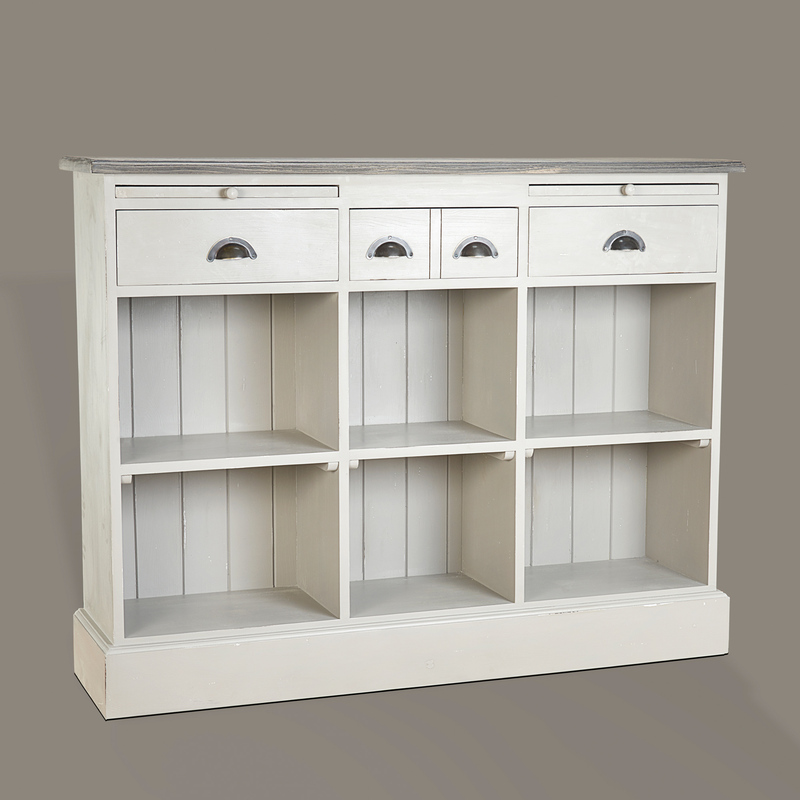 Could also be used as a dining room sideboard, home office file storage unit or in the kitchen. 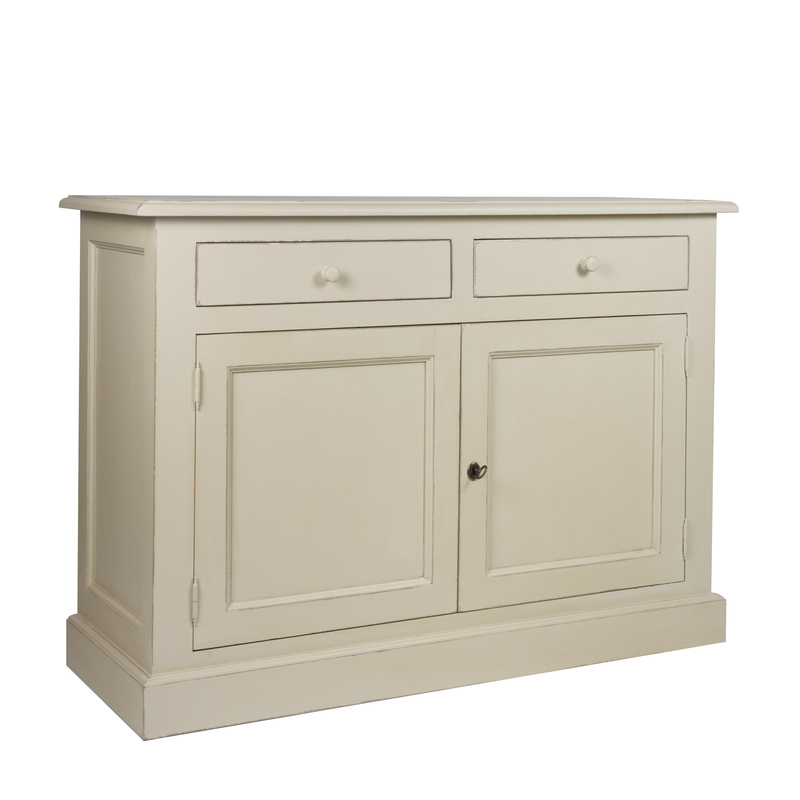 A very versatile piece of furniture. Product Code: 15351/D146. 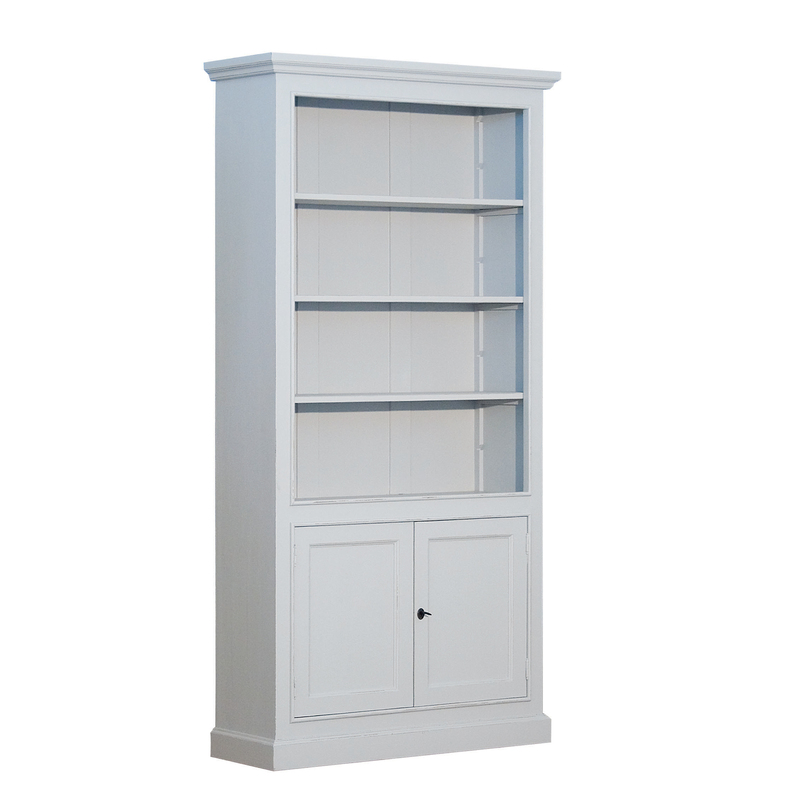 Categories: Living, Furniture, Bookcases, Sideboards, Dining, Furniture, Sideboards, Bookcases, Bedroom, Furniture, Bookcases, French Painted, Living, Bookcases, Sideboards, Home Office, Dining, Sideboards, Bookcases, Bedroom, Bookcases, Kitchens & Bathrooms, Kitchen Islands & Cupboards.